It’s been more than four years since Magento 2.0 was firstly announced. And now curious merchants have finally received a chance to look at the eminent shopping cart, or, rather at its beta version. Though it’s still too soon to measure cart’s impact on the eCommerce world, it’s functionality characteristics really do look ground-breaking and exceptional. 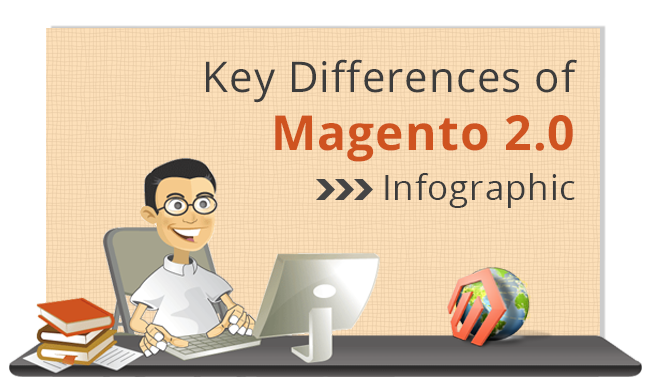 In the following infographic we have gathered the most important data from Magento events materials and from our own research to describe the main differences between Magento 1.x and 2.0. The entire e-Commerce community is united by expectation of Magento 2.0 official release. We don’t know the exact date of this grand event, but we can assure you that, as soon as the platform is available we will provide an opportunity of simple migration to it. As for now, make sure you’re using the most advanced platform version currently available - upgrade your Magento store by moving from Magento to Magento in terms of few hours!